The New Cityfinder shows you the nearest trolley or shuttle and points of interest along the way. Download Cityfinder for Albany, NY, Schenectady, NY and Saratoga, NY at the Apple App Store and Google Play Store. Cityfinder is an easy way to locate your local trolley or shuttle, know the walking distance of the nearest trolley stop, and the trolley’s estimated arrival time. Find points of interest - like restaurants, bars, entertainment, museums, hotels, shopping and more, that are along the trolley route. 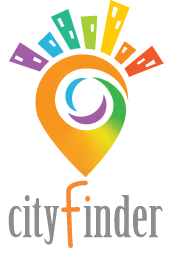 Cityfinder takes the guess work out of your visit to a new city or your return to a favorite destination. See what restaurants have the highest rating, what new sites are receiving rave reviews and read what people are saying about new entertainment venues. See the trolley on the map in real-time, as well as where all the points of interest are, so you can maximize your stay. Enjoy the flexibility of hopping off and on the trolley when you feel like taking a stroll through town or need to take a load off your feet. With Cityfinder, you’ll know how far to the next trolley stop, how long it’ll take to get there on foot and when the next trolley is set to arrive. Click here to read the Times Union recent article on Cityfinder. Click here to read the Daily Gazette article. Click here to read the Spotlight News article. Click here to read the CDTA announcement on the Saratoga Summer Trolley.